Mild traumatic brain injury (mTBI) affects 55 million people worldwide and can lead to neurodegeneration. My goal is to enable early detection and prevention of mTBI. 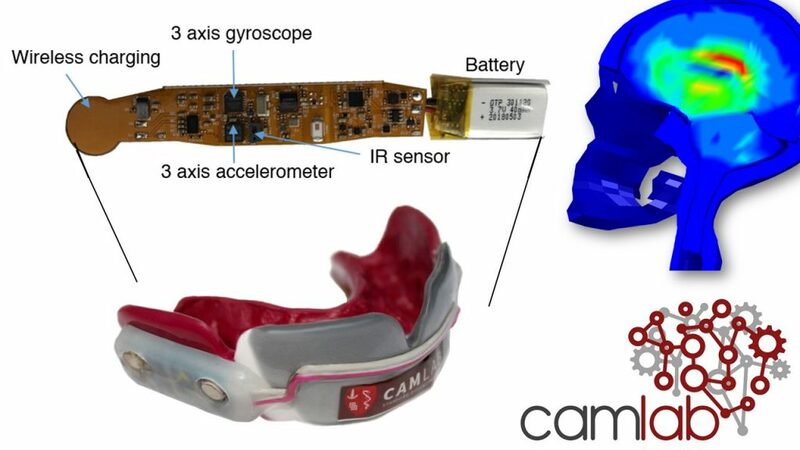 My laboratory has pioneered instrumented mouthguard technologies that precisely measure the acceleration of the head during impact, which we use to drive finite element (FE) models of the brain. In this talk, I will share preliminary data that suggests that blood brain barrier disruption, a potential initiator of neurodegeneration, may be very common in contact sports and is detectable in real-time with the mouthguard. Finally, I will present data on early prototypes of a compact shock absorber that has the potential to prevent mTBI in helmets for football and other high-risk activities. 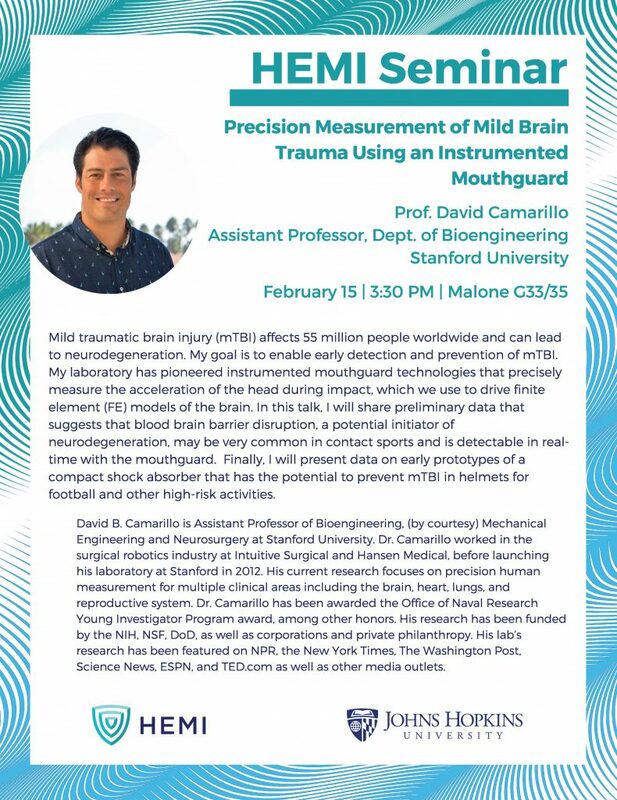 David B. Camarillo is Assistant Professor of Bioengineering, (by courtesy) Mechanical Engineering and Neurosurgery at Stanford University. Dr. Camarillo worked in the surgical robotics industry at Intuitive Surgical and Hansen Medical, before launching his laboratory at Stanford in 2012. His current research focuses on precision human measurement for multiple clinical areas including the brain, heart, lungs, and reproductive system. Dr. Camarillo has been awarded the Office of Naval Research Young Investigator Program award, among other honors. His research has been funded by the NIH, NSF, DoD, as well as corporations and private philanthropy. His lab’s research has been featured on NPR, the New York Times, The Washington Post, Science News, ESPN, and TED.com as well as other media outlets.